Our board certified plastic surgeon, Dr. Wesley Schooler, frequently performs breast reconstruction surgery for women who have undergone a mastectomy. 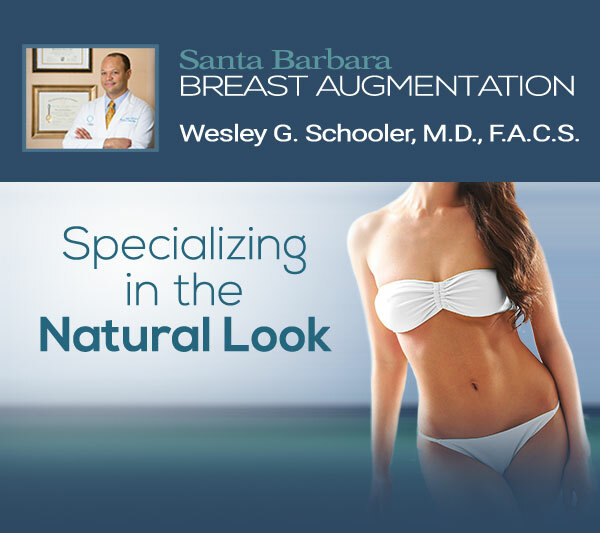 Here at Santa Barbara Plastic Surgery Center, Dr. Schooler and our experienced aesthetic enhancement team understand physical and emotional toll that breast cancer can cause. Dr. Schooler will work with you to create a customized treatment plan designed to recreate the breast and restore breast symmetry. Our surgeon aims to give you results that both look and feel natural, helping to alleviate any lost confidence after a mastectomy. There are several different approaches for breast reconstruction surgery, and candidacy for each approach is determined on a case-by-case basis during the consultation process. Some women elect to undergo breast reconstruction immediately following their mastectomy, while some women choose to wait until their cancer treatment is complete (known as a delayed breast reconstruction). There are also two techniques used for breast reconstruction here at our practice – implant-based and autologous reconstruction – and candidacy for these techniques will depend on your body’s unique needs and your cosmetic goals. Dr. Schooler will help you select the breast reconstruction approach that can best meet your expectations. Due to the nature of this procedure, breast reconstruction surgery is covered by most insurance companies. A member of our staff will be happy to work with you on the details of your financing options. The procedure for implant-based reconstruction is similar to breast augmentation surgery with implants. After the mastectomy, tissue expanders are used over the course of several months to create an adequate amount of skin on the chest wall to accommodate a breast implant. The procedure for autologous reconstruction uses your own natural body tissues to recreate a full, sculpted breast. These transferred tissues are typically taken from the abdomen or another area that has an excess of skin. Breast reconstruction patients are often very happy with the results of their procedure. They typically experience a boost in self-confidence, are able to comfortably wear the clothing they wore before their mastectomy, and enjoy their restored figure. To learn more about breast reconstruction and how the procedure can help you achieve your goals,contact the Santa Barbara Plastic Surgery Center today.